Fishing trips to suit your needs – from full charters to individual bookings and small groups. With a top speed of 22 knots loaded, She Likes It II is an a late model Offshore 105 that can accommodate up to ten passengers. 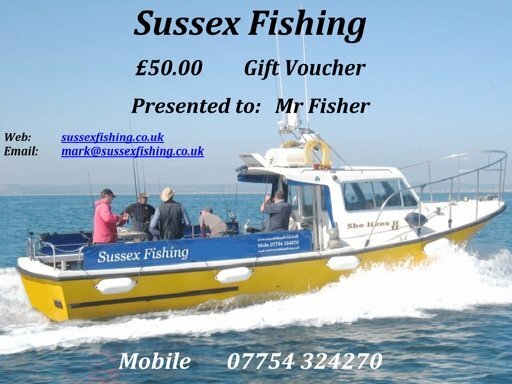 Enjoy your fishing trip with breathtaking sea views of Brighton and the Sussex Coast aboard She Likes It II. My aim is to provide an excellent service and to make your time aboard She Likes It II a thoroughly enjoyable experience. She Likes It II is a late model Offshore 105 that can accommodate up to ten passengers. 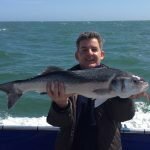 With many years of sea fishing experience on the South Coast, Sussex Fishing offers you an exciting range of inshore and deep sea fishing trips. She Likes It II is moored in Shoreham Harbour, only three miles from Brighton City Centre. The town of Shoreham-by-Sea is just slightly further to the west. The general range we cover, runs from as far east as Eastbourne and as far west to Selsea. On the odd occasion, we have even popped over to the port of Fecamp in France. 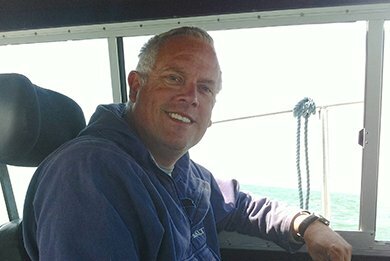 During the early wreck fishing season, it is not unusual for us to venture thirty miles or more into the English Channel. This is done to hunt down the large Pollock that inhabit the wrecks during that time of the year. 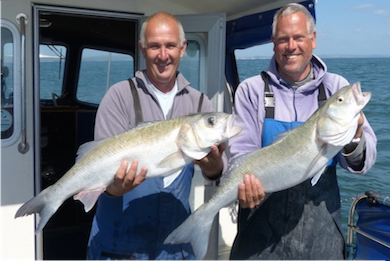 The range of trips we put on, are to suit anglers of all abilities, from beginner to expert. My aim is to make your trip enjoyable, safe, easy and productive. 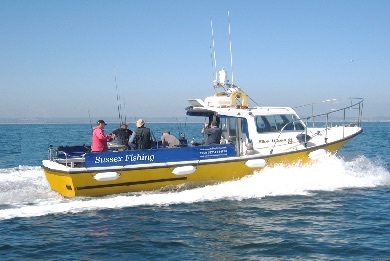 We run reef and ground fishing trips along the South Coast all year round. This will often involve fishing inshore at anchor, with a bait fished hard on the bottom. An alternative to this is when we fish while drifting along in the tide. (Drifting) This is done is to target different species of fish. Typically flat fish like Plaice, Turbot and Brill are fished on the drift. Most inshore grounds we fish are within a forty five minute boat trip from Shoreham Harbour and in relatively shallow water. 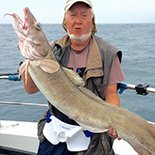 This type of fishing is ideal for people who are new to boat angling and also for the experienced angler looking for a more relaxing day out. Deep Sea Wreck fishing trips along the Sussex coast, can give you access to approximately 200 shipwrecks in this part of English Channel. The wrecks we fish are generally lying in depths of around forty five – sixty five meters and most are reached within a 60 to 120 minutes boat journey from Shoreham Harbour. This type of fishing can be very exciting, with what can potentially provide you with excellent results. – But it is physically harder work than when ground fishing. Book a fishing trip NOW!